Airborne Ranger is a video game developed and released by MicroProse in 1987 for the Amstrad CPC, Commodore 64, ZX Spectrum, and MS-DOS. It is an action game in which a sole U.S. Army Ranger is sent to infiltrate the enemy territory to complete various objectives. 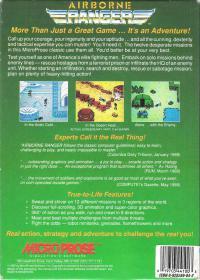 Amiga and Atari ST versions were released few years later and were a wholly independent development effort and different from gameplay standpoint. 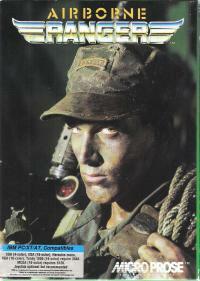 The game was followed by Special Forces in 1991.